The World should certainly have it's own topic! The new Fantasyland plans do look good, I was glad to see them a few days ago and finally put an end to all the rumours. I think the new plans have promise and potential, but a lot hinges on the execution with this project. Go all out, and it could be something to be proud of; if they don't put 100% in, it'll be a huge missed opportunity. I look forward to seeing how it pans out. Ahh Animal Kingdom. Happy Birthday my favourite Disney World theme park. So, has anyone on here ever done the all-park-one-day marathon? It's been done, and we're planning to do it in the summer! The plan is Typhoon Lagoon, Animal Kingdom, Hollywood Studios, EPCOT and Magic Kingdom all in one day. Game on. Lol! I don't understand how that would be enjoyable though? Why would you do that to yourself? We're not doing both waterparks in a day, just thought it would be a fun challenge doing the rest! The guys from Touring Plans have done all four of the 'dry' parks in a day, so we were going to give it a bash on one of our spare days with the addition of Typhoon Lagoon :)And Mikey, just for the challenge of it! Sounds extremely exhausting but have fun with it. Are you just going for main rides or are you including small rides and shows with it? Just the main stuff Mark! Any more than that might just be impossible :)In other news, anyone ever met this guy? Yes! It's fantastic, children seem to love it and it's another one of those things that Disney doesn't have to do, but does and it creates a great atmosphere. Funny seeing it out of the corner of my eye and being so surprised for a second! Also one of these in DL California, pretty awesome! http://www.youtube.com/watch?v=NIVe5mAlW1A&feature=relatedWes Palm seems to hang out in the AK gate queue before opening. I can't find any brilliant videos though. He was very good in person. It's near impossible just involving the main rides :)Just hopefully you time the WDW transportation system right otherwise you can be waiting up to 20 min each time you try and transfer parks. I recently read an article regarding the fate of Beastly Kingdom. For the life of me I can't remember where I read it, but then I found it on Orlando United a couple of days ago. I'll quote it here- it's very lengthy but I promise, a great read if you're interested in Disney and Imagineering.Let the marathon commence! Part 1You can park your car in the "Unicorn" parking lot.You can buy your admission ticket at a ticket booth with a huge dragon's head on it.And -- for a while there -- you could even catch a glimpse of a fire-breathing monster as you took a cruise along Discovery River.So what are the chances that Walt Disney World [WDW] guests will someday soon get the chance to visit a land at Disney's Animal Kingdom [DAK] that celebrates these mythical creatures?These days, pretty slim. It's probably more likely that guests will see a real unicorn or dragon long before they get the chance to tour DAK's "Beastly Kingdom. "What happened? Why has the Mouse decided to scrub its years-in-the-making plans for expansion of its animal theme park? Why table what would seem to be a sure-fire addition to Disney's Florida resort?Those who have been following the Walt Disney Company's recent cost cutting craze will not be be surprised to learn that the projected high price tag for building "Beastly Kingdom" factored heavily in upper management's recent decision to postpone indefinitely any major expansion of Disney's Animal Kingdom. After all, if times are so tough for the Mouse that they have to lay off the Magic Kingdom's marching band as well as Epcot's fife-and-drum corp, what are the chances the company would be willing to spend $200 to $300 million to add a new land to DAK? Slim to none.Mind you, Mickey was perfectly willing to pony up the $100 million necessary to build the Animal Kingdom Safari. But that's different. That's a hotel. That 1307 room resort will start making money for the Walt Disney Company the moment it opens in the Spring of 2001.But "Beastly Kingdom?" Recent exit surveys have suggested that -- even if Disney were to go forward with construction of this new land at DAK -- the Mouse wouldn't see a large enough increase in attendance at WDW's fourth theme park to justify the cost of actually building "Beastly Kingdom. "The real irony here is that one of the only reasons Disney's Animal Kingdom ever got built was that way back in 1993, guests who were surveyed about ideas for a fourth WDW theme park responded strongly to the notion of having a place in Florida where they could see unicorns and dragons.Want to hear what folks were told about "Beastly Kingdom" back then? What follows is an excerpt from an exact transcript of an early marketing presentation on Disney's Animal Kingdom. It describes in great detail the fun that would have been had in this part of the proposed park: Beastly Kingdom is the realm of make believe animals, animals that don't really exist, out of legends, out of fairy tales, out of storybooks. Like our legends and fair tales about imaginary animals, this land is divided into realms of good and realms of evil. The evil side is dominated by DRAGON'S TOWER, a burned, wrecked castle inhabited by a greedy, fire breathing dragon. He hordes a fabulous treasure in his tower chamber. The castle is also inhabited by bats who speak to us from their upside down perches. The bats have a plan. They enlist our help trying to rob the dragon and fly us off on a wild chase. At last, we meet the fire-breathing dragon himself and barely escape un-barbecued. The good side of this land is ruled by QUEST OF THE UNICORN. An adventure which sends us through a maze of medieval mythological creatures to seek the hidden grotto where the unicorn lives. There is also FANTASIA GARDENS. A gentle musical boat ride through the animals from Disney's animated classic, "Fantasia." Both the crocodiles and hippos from " Dance of the Hours" and the Pegasus, fauns and centaurs from Beethoven's "Pastoral" are found here.Sounds pretty impressive, yes? Those WDW guests surveyed back in 1993 thought so. They identified "Beastly Kingdom" -- with its mix of roller coasters and imaginary animals -- as the number one reason that they'd want to visit this proposed fourth theme park.So why wasn't "Beastly Kingdom" part of Disney's Animal Kingdom when the park opened on April 22, 1998? Again, cost played a big part in delaying construction of this highly anticipated land. But DAK's future planning had to be factored in too.After all, it took the Walt Disney Company three years and $800 million just to get "Phase One" of DAK open. And -- since the park's name actually had the word "animal" in it -- the Imagineers felt that opening day guests would want to see some actual live animals. So the majority of DAK's capitalization was poured into building the Africa and Asian safari areas.After that ... well, someone had to make a decision. Disney's Animal Kingdom was supposed to celebrate all animals: the live ones, the extinct ones, as well as the imaginary. The African and Asian enclosures would take care of the live animals.But -- in doing that -- Disney blew through most of DAK's initial budget. There was only enough money left to build one more land. Which should the Mouse go for? Dragons or dinosaurs?In the end, the deciding factor here was the money the Disney Company had already blown on the soon-to-be-released computer animated film, "Dinosaur." Even back in 1995, the Mouse had already invested upwards of $30 million into production of this movie. (Current estimates suggest that Disney may have spent as much as $150 million to finish this film, making "Dinosaur" even more expensive than James Cameron's infamously over-budget 1997 epic, "Titanic." ) Eisner wanted to make sure that Disney's "Dinosaur" movie made a return on that investment, so he insisted that DAK feature an attraction that heavily hyped the forthcoming film.That decision angered Joe Rohde and the other Imagineers on the Disney's Animal Kingdom project. After all, one of the real reasons that DAK was being built was to keep WDW guests from leaving property to go visit Busch Gardens - Tampa Bay.And what was Anheuser Busch's Florida theme park best known for? Its animal displays and its killer roller coasters. With African and Asia, Disney had all the animals it needed. But where were the coasters?According to Disney's Animal Kingdom's original plans, "Dragon's Tower" was to have been this park's signature attraction. That's why the dragon was featured dead center in DAK's logo. After guests visited WDW's fourth theme park, this was going to be the ride they raved about the folks back home about.What was so special about "Dragon's Tower?" This high tech thrill ride would have been the Walt Disney Company's first in-park use of an inverted roller coaster. This attraction would have also featured the largest AA figure ever built for a Disney theme park. The angry jewel encrusted dragon found in the ride's finale -- belching fire and smoke at your car as you zoomed on by -- would have easily dwarfed any of the dinos found in "Countdown to Extinction" (AKA the "Dinosaur" ride).But Eisner insisted that it was more important that DAK feature an area that synergized with the upcoming "Dinosaur" film. "Beastly Kingdom" would have to wait 'til DAK's "Phase Two" ... which, back then, was to have been completed no later than Spring 2003.So -- with this understanding that "Beastly Kingdom" hadn't been cancelled, but merely postponed -- WDI agreed to scale back their initial plans for Disney's Animal Kingdom. But, even as they mapped out plans for the "Phase One" version of DAK, the Imagineers deliberately put in some pretty broad hints of the fun yet to come when "Beastly Kingdom" finally opened. That's why you can park your car in the "Unicorn" lot as well as buy your tickets at the dragon headed ticket booth.As for that fire-breathing dragon found in the cave down along Discovery River ... before cost over-runs in other areas of DAK severely cut in the proposed budget for this part of the park, that make-believe monster was just one of many fantasical show elements that would have been found along this part of the river. That whole stretch of Discovery River was supposed to be one big coming attraction for "Beastly Kingdom. "Had the Imagineers gotten all the money they were originally supposed to get, here's what you would have experienced after your boat pulled away from the dock and began its cruise around Discovery River: As you passed under the main bridge leading into Safari Village, you would have seen that the water ahead was littered with the shattered lances and crumpled armor of a great many fallen knights. But what horrible fate could have befallen all of these brave adventurers? A roar from the nearby cave offers a clue. As your boat floated past the opening of the cave, you would have seen a duplicate of the dragon found in the cavern under Le Chateau de la Belle au Bois Dormant at Disneyland - Paris. Only WDW's version would have been a lot more active than France's sleepy monster. This dragon would have craned his neck out of the cave, roared at the guests and then breathed fire their way, before once again settling back down to sleep. At this point, your boat driver would have started to get nervous. He would explain that he was worried that the dragon's roaring would awaken the Kracken, a mythical Greek sea monster that was known to lurk along this stretch of Discovery River. Sure enough, the water around the boat begins to bubble ominously. Off to one side, the huge fin of the Kracken suddenly cuts through the water. As the boat begins rocking back and forth, you're certain you're headed for a watery grave. Just then, your captain pulls out a lyre and begins plucking an odd tune. As the boat stops rocking and the water stops bubbling, the captain explains that music puts the Kracken back to sleep. Once that it's safe to move on, the boat continues to head up river. Just as you round the bend, your captain points off excitedly to your left. There on the shore, you catch a glimpse of a unicorn. The beautiful white creature -- shrouded in mist as it stands in a picturesque grove of trees -- paws the earth lightly with one hoof and nods its golden horn our way. The unicorn's only visible for just an instant, but it truly is a beautiful sight. As your boat pulls up to the dock in Harambe, you and your fellow guests would still be buzzing about the wonders you would have glimpsed on this leg of your adventure of Disney's Animal Kingdom ...But of course ... this didn't happen. As DAK's opening day grew nearer and it became obvious that the whole project was going over budget, great show elements like the Kracken and the Unicorn got cut from the "Phase One" version of the park. In the end, there was only enough money left in the budget for put one creature along the entire length of Discovery River.Again -- because Eisner insisted that "Dinosaur" be heavily synergized at DAK -- the Imagineers decided to build a full-scale version of Aladar, the heroic iguanadon from the forthcoming film. That's the AA dinosaur guests glimpsed roaring and splashing at water's edge as their Discovery River boat floated past Dinoland USA.Unfortunately, this decision left the other leg of the Discovery River boat cruise a five minute cruise past nothing. So Joe Rohde begged, pleaded and wheedled ... and eventually got Eisner to kick in another couple of thousand dollars. With this tiny chunk of change, Joe was able to get the rock dragon that spews water along this part of the river built, as well as a very stripped down version of the park's fire breathing dragon.But don't go looking for an Americanized version of Disneyland - Paris's majestic AA dragon to be found along this part of Discovery River. Rohde's Imagineers did the best they could with zero cash. All you'll find here now is a somewhat dinky cave at water's edge. As the boats went by, a ferocious roar would echo out of the cave, followed by a burst of flaming propane. These effects hinted that there was a dragon somewhere deep back inside that cave ... but guests never really got a glimpse of the thing.As you might imagine, WDW visitors were pretty unimpressed with what they saw along Discovery River once DAK opened. In fact, this was the ride that guests singled out -- right from Opening Day -- as the worst attraction in all of Disney's Animal Kingdom. After waiting in line for over an hour to board the boats, they were furious to find that there was virtually nothing to see along the water during their five minute journey to Harambe.The Imagineers were obviously embarrassed by this situation. It was particularly frustrating to WDI because they knew that they had a solution to the Discovery River problem, ready to go. But Disney management was too cheap to put up the money to make the fixes.But that had been typical of Disney management's handling of the whole DAK project. Given the choice between doing things the right way and the inexpensive way, the Mouse always opted to go cheap.Take -- for instance -- how the Mouse handled the park's capacity problems. When it became obvious that Asia was not going to ready in time for Disney's Animal Kingdom's April 1998 opening, the Imagineers began warning Disney management that DAK would not have a full day's worth of shows and attractions. After having paid full price for admission, guests were sure to complain if they only got a half day's worth of entertainment.Eisner's solution? Slap in a temporary land, similar to the "Mickey's Birthdayland" area that the company had created for WDW's Magic Kingdom way back in April 1988. From its first conceptual drawing right through to the first guest walking into Mickey's house, "Mickey's Birthdayland" had only taken 90 days to install.Rohde and his Imagineers was appalled at Eisner's suggestion. But -- rather than tell the boss that his idea was terrible and that they wanted nothing to do with it -- the DAK design team insisted that they were far too busy supervising construction in the rest of the park to work up any new temporary lands.So Eisner ordered WDW's entertainment office to take over the project. Using "Mickey's Birthdayland" as their template, the entertainment staff came up with the concept for "Camp Minnie-Mickey." Since there was no money available for even the cheapest of off-the-shelf rides, the WDW team opted to build "Camp Minnie-Mickey" around two low budget stage shows and several no budget character encounter areas.How quickly and cheaply was "Camp Minnie-Mickey" thrown together? Do the float units the characters perform on in "Festival of the Lion King " look familiar? They should. They're the exact same parade floats that Disneyland ran up and down Main Street USA during the three year run of its "Lion King Celebration" parade.Having this rapidly slapped together area sitting alongside lands that they'd spent years designing really irked the Imagineers. But Rohde advised his team to be patient and hold their tongues. After all, once Disney's Animal Kingdom opened on April 22, 1998 and proved to be a huge success, then WDI would finally get the time and the money necessary to fix all the stuff that was wrong with the park.Then the Imagineers could get the chance to put back all the stuff that was cut out of Discovery River. Then they could quietly pull the plug on that monstrosity, "Camp Minnie-Mickey." Then WDI could finally get around to DAK's "Phase Two" and build Beastly Kingdom.Well, April 22, 1998 arrived and Disney's Animal Kingdom opened ...But -- after that -- things didn't quite go according to plan.Part 2Okay, kids -- before we get back to the story of how "Beastly Kingdom" ended up on Disney Animal Kingdom's (DAK) endangered species list -- you need to understand what the Mouse's original expectations were for its fourth Walt Disney World (WDW) theme park. Here's what Disney CEO Michael Eisner had hoped would happen when DAK opened on April 1998: Attendance levels would go through the roof at the Magic Kingdom, Epcot, and the Disney-MGM Studios, as a record number of visitors rushed down to Florida to check out WDW's fourth theme park. Guests who had previously stayed on property at Walt Disney World hotels for four days would now book five day vacation packages -- just to be sure that they didn't miss any of the new shows and attractions that had recently been added to the resort. All this extra guest traffic would result in increased revenues for WDW's hotels, shops and restaurants -- which would have an immediate positive impact on the Walt Disney Company's bottom line. Eisner and his staff would bask in the glow of the unparalleled success of Disney's Animal Kingdom for a moment ... then get right back to work, brain-storming ideas for WDW's fifth theme park.That what Uncle Michael had hoped would happen, anyway. Reality proved to be infinitely harsher.In spite of the Mouse's rosy projections, Disney's Animal Kingdom -- in its first year of operation: Actually drove down attendance levels at the other three WDW theme parks: In 1998, 8% fewer guests visited the Magic Kingdom; 9% fewer went to the Disney-MGM Studios; while Epcot's attendance levels dipped a startling 11%.What happened? In a word -- cannibalism. "Cannibalism" is the term Disney Company executives use to describe what happens when a brand new theme park opens and begins eating into the attendance levels of the older, more established parks at the same resort.In 1982, when Epcot opened, that park initially cut significantly into the number of guests that annually visited the Magic Kingdom. However -- over time -- attendance levels at Magic Kingdom bounced back to what they once were after the newness of Epcot had worn off. Meanwhile, Epcot Center began drawing guests all on its own to WDW. In the end, it all worked out just fine.A similar thing happened in May 1989, when the Disney-MGM Studio theme park threw open its gates. For almost a year, attendance levels at the Magic Kingdom and Epcot slumped while guests opted to go to the new WDW theme park rather than visiting their old favorites. But -- once again, over time -- the situation sorted itself out. Attendance levels at the older WDW parks slowly rose back up to where they once were, as the Disney-MGM Studios began luring millions of new tourists to come see Disney's Florida resort.The Mouse had been anticipating that -- when Disney's Animal Kingdom opened -- that it too would initially bleed guests away from the Magic Kingdom, Epcot, and the Disney-MGM Studios. That's why Eisner had had the Imagineers add new attractions and/or complete major rehabs to each of the older WDW parks in the 18 months prior to DAK's opening.This was Uncle Michael's brilliant scheme. He honestly believed that -- if the Magic Kingdom, Epcot, and the Disney-MGM Studios each had new rides and shows for visitors to see -- guests who had come down to WDW just to see Disney's Animal Kingdom during its first year of operation would still end up of staying on property an extra day or so just to check out all the new stuff at the other parks.On paper, that really did seem like a brilliant plan. Too bad reality got in the way.What happened to ruin Eisner's plan? For starters, Epcot's heavily hyped new thrill ride -- GM Test Track -- was beset with horrible technical problems and ended up opening a full 18 months behind schedule. So that park really had nothing new to offer to returning WDW guests the year DAK opened.Over at the Disney-MGM Studios, a much anticipated addition to the park -- "David Copperfield's Magic Underground" restaurant -- never made it off the drawing board because the magician's outside financing for the project disappeared. It would now be months after DAK's opening before the studio theme park's next big attraction -- an East Coast version of Disneyland's "Fantasmic" -- would be ready to start entertaining WDW visitors.As for the Magic Kingdom ... truth be told, very little thought was put into to adding new shows and attractions to WDW's first theme park. The Magic Kingdom had always been the favorite with Disney World visitors. Eisner and WDI felt that -- what with the recent "Mickey's Toontown Faire" redo as well as the 25th anniversary parade that was still running daily at the park -- there was still plenty of semi-new stuff to entice people into making a return trip to the Magic Kingdom.So -- given all the money the Walt Disney Company had pumped into the Magic Kingdom, Epcot, and the Disney-MGM Studios to counter-act the effects of DAK's opening -- Eisner had anticipated that the attendance levels at WDW's older parks would only dip by 5% in 1998. He was said to be furious when -- almost across the board -- attendance fell by almost twice that amount at all three of the other WDW theme parks.This news immediately put WDW's management team into crisis mode. The big boys in Burbank wanted attendance levels at each of the older WDW parks driven back up immediately. The managers of the Magic Kingdom, Epcot, and the Disney-MGM Studios reminded Eisner and Company that -- in order to do that -- they'd need money fast for new shows, parades and attractions. Eisner immediately agreed to free up some funds for the Florida park.And where did Eisner get the money to create these new WDW shows? You guessed it, kids. He snagged the funds that had been previously earmarked for expansion of Disney's Animal Kingdom. Specifically, the money that would have been set aside for construction of "Beastly Kingdom. "Again, Rohde and his Imagineers began complaining about the short-sightedness of Disney management's fiscal planning. With that money gone, it would now be five years or more before there'd be any money in the budget to create any new significant attractions for DAK.WDW managers admitted that this was true. But -- given all the problems that Disney's Animal Kingdom was having during its initial year of operation -- it didn't seem too wise right now to complain about the park's future. Unless these problems got resolved quickly, it didn't look like DAK would have much of a future.What sort of problems was Disney's Animal Kingdom having back then? You name it, the park was having problems with it. For example: Due to the twisty, turny nature of the park's walkways as well as all the lush vegetation, guests were constantly getting lost as they walked through the park. Disney had to spend thousands on new, bigger signage for the theme park to help guests find their way around the place.Then there was all the troubles with DAK's shops and restaurants. Particularly during the first eight months Disney's Animal Kingdom was open (when only the African safari adventure was up and running), the Mouse had an awful time getting guests to stay inside the theme park past 4 p.m.What was the problem? Due to the horrible heat in Florida, most of the animals along the African safari route would go lie down in the shade -- disappearing entirely from view -- by about 10 a.m. each morning. Once DAK management learned that its African menagerie had begun dropping from sight most days before noon, it quickly put the word out to WDW's hotels to encourage their guests to visit DAK as early in the day as possible.This resulted in a completely unworkable traffic flow situation at DAK. By 7:30 a.m. most mornings during that first summer of operation, the park would already be full. By 8 a.m., there'd be a two hour long line in the queue for the African safari ride as well as guests waiting for over an hour to get in to see "It's Tough to Be a Bug." Given that so few of Disney Animal Kingdom's restaurants had been designed to serve breakfast, there were never enough places open at that hour to handle all those sleepy, cranky people looking for food. That first summer at DAK was a complete disaster.But -- as bad as the early morning hours at DAK were -- the late afternoon was even worse. Why for? Because the crowds -- having blown through Disney's Animal Kingdom minimal number of shows and attractions in just a few hours -- had already left the park for the day. By 4 p.m. most afternoons, you could have fired a cannon down the middle of the street in Safari Village and not have wounded a single soul.Having the park virtually empty by late afternoon played hell with DAK's projections for food and merchandise sales. All the managers of the park's stores and restaurants were begging WDW management for help in turning around their depressed sales. (The folks running the giant "Rainforest Cafe" at the entrance of Disney's Animal Kingdom were particularly desperate. They had paid big bucks for the right to build this branch of their restaurant chain right outside the entrance to WDW's newest theme park. But most evenings, barely a third of the cavernous cafe had any guests in it. )WDW management tried to come up with a solution to DAK's traffic flow problems. But it quickly became obvious that there'd be no quick fixes for this situation. After all, it wasn't like Disney could do here what they did at Epcot and the Disney-MGM Studios to keep guests in the park at night. Since the lights in the skies and all the noise was sure to frighten the animals, a nightly fireworks display was out of the question.There was also some talk of creating a special night-time parade to roll through the streets of Disney's Animal Kingdom and entertain guests after dark. For a time, WDW management even considered bringing Disneyland's much maligned "Light Magic" streetacular to Florida to provide after-hours entertainment at DAK.But Rohde and his team of WDI designers quickly killed any talk about night-time streetaculars at Disney's Animal Kingdom. They pointed out that the park's streets and trails were just too tight and narrow to allow even the smallest floats easy passage. The Imagineers reminded WDW management how much trouble DAK's small day-time parade -- "The March of the Art-imals" -- was having making its way around the park in broad daylight. Imagine how much trouble a similar parade would have making its way around DAK in the dark.Rohde's team insisted that the solution to the traffic flow problems at Disney's Animal Kingdom was obvious: beef up the parts of the park that didn't rely on real animals. That meant adding new shows to Dinoland USA as well as finally building Beastly Kingdom. By adding these additional shows and attractions, WDW management would give guests a real reason to stay at DAK after dark -- rather than trying to trick visitors into staying with a lame after-hours parade and/or a smallish fireworks display.Privately, officials in WDW management agreed with the Imagineers that this was the logical, reasonable way to fix Disney's Animal Kingdom. The trouble was that the folks back in Burbank weren't acting reasonably or logically right now. Disney Company management had panicked when they had seen the drastic dip in attendance at WDW's three other theme parks. Now they were running scared.And Eisner had already okayed WDW management's decision to grab the money that had been earmarked for DAK expansion and use it for bolstering sagging attendance at the other three WDW theme parks. That meant that Imagineering had next to no money left to fix all the glaring problems at Disney's Animal Kingdom. More ominously, it now looked like it would be five years -- or more -- before WDI could afford to add any significant new attractions to DAK.It was a very depressing time for the Disney's Animal Kingdom design team. But -- again -- Rohde told his Imagineers not to lose heart. He told them that DAK -- in particular "Beastly Kingdom" -- might still be saved yet.For Joe knew that Seagrams / MCA was spending two billion dollars to expand its Universal Studios Florida theme park complex -- which was just down the road from WDW. And the centerpiece to this ambitious expansion project was a brand new theme park: Universal Studios' Islands of Adventure.Rumors were flying around the theme park community that Seagrams / MCA was spending hundreds of millions of dollars on their new Florida park because they were out to top Disney. Universal wanted "Islands of Adventure" to have such amazing state-of-the-art attractions that this park would top any ride that could be found at Walt Disney World.Secretly, Rohde and his Imagineers were hoping that Universal Studios' Islands of Adventure would be a huge success. Why for? Because the Walt Disney Company would then be embarrassed that it didn't have the best rides in Florida anymore. And then maybe the Mouse would get worried that they were starting to lose guests to the new Universal park.If that happened ... well, then Eisner would finally have to open up his wallet then, wouldn't he? Just as a matter of pride, he'd have to insist that WDI install the greatest rides that they could come up with at each of the WDW parks. For Disney's Animal Kingdom, that could only mean that the Imagineers would finally get the chance to build "Beastly Kingdom. "That was how Joe Rohde hoped things would play out, anyway.Well, in the spring of 1999, Universal Studios' Islands of Adventure did finally open up. Unfortunately, it was not quite the roaring success Joe had hoped for.Worse still, some of the attractions to be found in the new park looked awfully familiar ...Part 3December 1998. Everyone at Walt Disney Imagineering (WDI) is abuzz with news about Universal Studios expansion plans for its Florida property. "I've heard that -- on opening day -- they're going to have three mega-coasters up and running. ""Well, I've heard that their 'Spiderman' attraction is going to blow the doors off 'Star Tours' and 'Body Wars. '""That -- plus 'Jurassic Park - The Ride,' that 'Dudley Do-Right' flume thing as well as the 'Popeye' raft ride. This new Universal park sound better than anything we've got in Florida. "Were these Imagineers frightened at the thought of all these great attractions being built in a theme park just down the street from WDW?Hell no. The folks at WDI were thrilled that Seagrams was spending a reported $2 billion to remake their Universal Studios Florida theme park into a Disney quality resort. Why? Because that meant that the Mouse would finally have some serious competition in Orlando.You see, Disney CEO Michael Eisner is a very competitive guy. He hates to lose -- at anything. If attendance at WDW started to noticeably slip due to the Mouse losing customers to Universal's new theme park, Michael would have to do something. Eisner's enormous ego just wouldn't be able to handle the idea of Disney being No. 2 in the Orlando market.So he'd turn to the Imagineers and say: "Make the best attractions you can. "Not "Make the best attraction you can on a limited budget." (I.e. : WDI's recent controversial rehab of Epcot's "Journey into Imagination" ride. During its three months of operation, the revamped version of that Future World attraction racked up more guest complaints than most shows produce in a year. 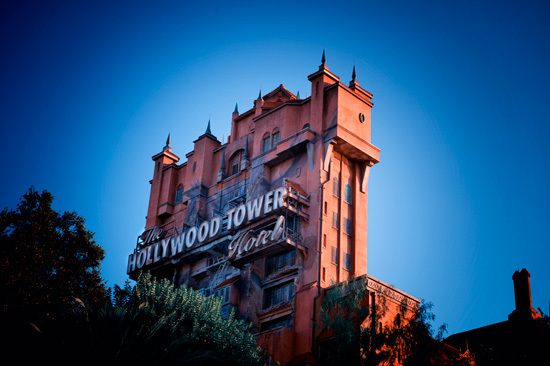 )Not "Make the best attraction you can with minimal changes to the pre-existing ride building." (I.e. : The Magic Kingdom's "Buzz Lightyear's Space Ranger Spin" actually runs its ride vehicles along the very same track and layout the building's previous tenants -- Delta's "Dreamflight" and the unsponsored "Take Flight" -- used. )Not "Make the best attraction that reflects the sponsor's agenda" (I.e. : Any exhibit you'll find inside either version of "Innoventions. ")Just "Make the best attractions you can." Period.And WDI would absolutely love to hear Michael Eisner say this. Because -- for years now -- they've been developing ideas for absolutely killer theme park attractions, only to be told by Disney Company senior management that " Gee, we'd love to build that ... but it'd be too expensive" or "No one else in the industry is doing that" or -- worst of all -- "We don't have to try that hard. "So now -- for the first time ever -- it appeared that Walt Disney World was going to have some real competition in Florida. And the top guys at the Mouse Works must have been taking Universal's Islands of Adventure seriously, for -- in January 1999 -- they ordered WDI to work up a WDW contingency plan.The purpose of the plan was this: Should Universal's Islands of Adventure actually begin to seriously nibble away at Disney World attendance levels in 1999, the Mouse wanted a way to quickly recapture those wandering visitors. WDI felt that the easiest way to get folks excited about going back to WDW again was to add a huge new E ticket attraction for each of the four Florida parks. More importantly, they wanted to have each of these rides up and running in time for the kick-off of Walt Disney World's 30th anniversary celebration in October 2001.The Magic Kingdom was to have gotten "Fire Mountain," a state-of-the-art roller coaster themed around story elements from Walt Disney Pictures' Summer 2001 animated release, "Atlantis." What would have truly been intriguing about "Fire Mountain" is that it was to have been the world's first morphing coaster. Visitors would start their ride seated securely in their ride vehicle. At the midway point in the attraction -- as "Fire Mountain" erupted -- the bottom would have dropped away from their ride vehicle, leaving the riders dangling from above as they zoomed through the rest of the ride.Over at the Disney-MGM Studios, that park's signature attraction -- "The Great Movie Ride" -- would have gotten a massive makeover. In its place, visitors would have been asked to put on 3D glasses before taking a trip through the Chinese Theater's "Villain Ride." Here, WDW visitors would have been menaced by three dimensional recreations of Disney's most famous fiends before the forces of good finally came to their rescue.Epcot would have had its dated Future World "Horizons" pavilion pulled down to make way for the new "Mission: Space" attraction. This cutting-edge ride would use centrifugal force to give visitors the sensation of being blasted out into space. They would also feel tremendous G-forces pressing them down into their seats as well as a brief moment of weightlessness before their ride vehicle made re-entry.As for Disney's Animal Kingdom ... well, since it was the least developed of all four of the WDW theme parks, adding just one new attraction wouldn't have given visitors enough incentive to return to DAK. So the Imagineers opted to go for broke here. They suggested adding a whole new land to Disney's Animal Kingdom.Which land? You guessed it, kids. "Beastly Kingdom. "Disney Management reviewed WDI's plan in March of 1999 and agreed to put it into action if ... and this is a really big "if" here, folks ... it could be proven that Universal Studios' Islands of Adventure was having a significant detrimental effect of WDW's attendance levels.So -- for the first time in the history of the Walt Disney Company -- the Imagineers actually hoped and prayed for a competitor's theme park to succeed. For -- if Islands of Adventure really had an impact on WDW's attendance -- all of their great new proposed attractions would actually make it off the drawing board.After two months of soft openings, Universal finally did officially open Islands of Adventure (IOA) on May 28, 1999. Just as the Imagineers had hoped, IOA had it all. Three huge roller coasters. Their state-of-the-art "Spiderman" attraction. Three water-based rides ("Jurassic Park - The Ride," "Dudley Do-Right's Ripsaw Falls," and "Popeye's Bilge Rat Barges"). Everything a modern theme park needs to succeed.Well ... almost everything.What was missing?Crowds.To this day, no one knows quite what went wrong with the launch of Universal Studios' Islands of Adventure. Some blame the marketing of the new park and resort, which somehow lead the public to believe that IOA wasn't a whole new theme park, but rather just a new land that had been added to Universal Studios Florida (USF). (This certainly was a popular explanation within the boardroom at Seagrams. They asked for -- and received -- the resignations of most of USF's marketing staff. )Whatever the reason, the crowds just did not come out for IOA during its first year of operation. Universal's new theme park under-performed in a spectacular manner, drawing less than half the projected number of bodies Seagrams had said would visit its revamped resort in 1999. Worse still, the limited number of visitors IOA got seems to have all been bodies that the new park lured away from its older Florida theme park. Unconfirmed reports suggest that attendance at Universal Studios Florida may have fallen off by as much as 30% during IOA's first few months of operation.But worst of all -- at least from the Imagineers' point of view -- is that IOA was having virtually no impact on WDW's theme parks. As the months went by, it became obvious that -- in spite of the $2 billion Seagrams had spent -- their revamped resort was having little or no effect on Disney World attendance levels.Without proof that IOA was impacting WDW's attendance levels, WDI's ambitious plans for adding a brand new E-Ticket attraction to each of the Disney Company's Florida theme parks by October 2001 seemed doomed to failure. Sure enough, Walt Disney Imagineering president Paul Pressler called a meeting at WDW's WDI headquarters earlier this year to announce a radical rethink of the Florida property's expansion plans.At this meeting, Pressler said that -- since IOA had obviously proven to be a non-threat to WDW attendance levels -- there was no reason to go forward with the previously announced aggressive building program. In its place, Paul proposed a significantly spread out schedule as to which Florida Disney theme park got new attractions and when.Pressler believed that it was now time to prioritize. WDW attraction construction money would be allocated first to whichever Disney theme park in Florida most needed a boost in attendance. That was obviously Epcot, which perpetually had problems drawing visitors back in for return visits. That's why the Walt Disney Company opted to stage its 15 month-long Millennium celebration inside this Florida park.Under the new schedule, the first new WDW E-ticket would be built inside on Epcot. "Mission: Space" would still rocket visitors off into the cosmos. Only now these visitors would have to wait 'til 2003 before they got the chance to board Disney's shuttle simulator.Next up would be the Disney-MGM Studios' E-Ticket. However, construction on the "Villain Ride" wouldn't even begin 'til 2003. Pressler's plan was to have the "Villain Ride" up and running by May 2004 -- just in time for the studio theme park's 15th anniversary celebration.After that, "Fire Mountain" would rise up over at the Magic Kingdom in 2006. This volcano-based Adventureland attraction would serve as the centerpiece of WDW's 35th anniversary celebration.Then in 2008, Disney's Animal Kingdom would finally get its new E-Ticket. Just in time for that park's 10th anniversary, "Beastly Kingdom" would throw open its doors. Visitors would then get to sample the thrills of "Dragon's Tower" and wander the leafy green maze over at "Quest for the Unicorn. "Obviously, Imagineer Joe Rohde and his DAK design team were tremendously disappointed with this last bit of news. But Rohde -- ever the optimist -- tried to stress the positive in this tough situation. "Okay, so it's going to open 10 years late," Joe said. "But at least 'Beastly Kingdom' will finally be part of Disney's Animal Kingdom. "At least, that was the plan ... until Eisner got around to visiting Universal Studio's Islands of Adventure in January 2000.Eisner and a small entourage quietly toured the park that day, riding most of the major attractions as well as scoping out a lot of the shops and restaurants. After Michael got back to California, he told the Imagineers that he thought that -- while IOA wasn't quite up to Disney standard -- the place still looked pretty good.There was a pause. Then Michael added "But a few of those attractions looked awfully familiar. "This is where one of the scummier secrets of the theme park industry gets revealed: theme parks regularly steal attraction ideas from one another. Just like in the computer world or the auto industry, industrial espionage is just one of the many ways that theme park companies like Disney, Universal, Six Flags, and the Cedar Fair Corporation try to stay ahead of the competition.Of course, Disney didn't help matters by laying off hundreds of Imagineers following the disastrous opening of Euro Disney. Many of these disgruntled former Imagineers walked out the door, carrying with them the plans for the proposed attractions they had been working on when the Mouse let them go.Among these folks were several Imagineers who had been working on the "Dragon's Tower" attraction for DAK's "Beastly Kingdom." After a few months, these former WDI employees got hired by Universal to work on their proposed second theme park for Florida. They ended up being assigned to work on that park's "Lost Continent" area. "You guys got any ideas for attractions for this part of the park?," their Universal bosses asked.Indeed they did.Now, before you get all indignant about the idea of Universal stealing ride ideas from Disney, please keep in mind that the Mouse has also been doing it for years. 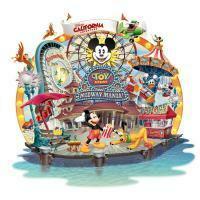 For example: how do you suppose the Skyway and Monorail ended up in Disneyland? Walt saw similar attractions while touring amusement parks in Europe in the 1950s. He decided to "borrow" the concepts of these rides from those European venues for installation at his Anaheim park.And -- while Tony Baxter is universally recognized as a modern master of Imagineering, having come up with the concepts for such classic Disney theme park attractions as "Big Thunder Mountain Railway" and "Splash Mountain" -- employees of Knotts Berry Farm are all too willing to point out the similarities between those attractions and Knotts' "Calico Mine Train" and "Log Ride." Given that Baxter has admitted to spending a lot of his free time back in the 1960s when he was a Disneyland employee prowling around Knotts, is it possible that Tony could have -- just like his hero, Walt -- "borrowed" the concepts for these Knotts attractions to use as the basis for "Big Thunder" and "Splash Mountain? "Anything's possible, kids.Anywho, back to Islands of Adventure ... is "Dueling Dragons" an obvious rip-off of "Beastly Kingdom"'s proposed "Dragon's Tower" ride? Perhaps. But how can you rip off something that hasn't actually been built yet?Some might argue that Universal -- being the first theme park company to build a mega-coaster that featured a dragon storyline with a queue area that was themed around a decrepit castle -- must now get credit for creating that attraction. Which means Universal effectively owns that ride idea. That would mean that -- should Disney ever go forward with their "Dragon's Tower" attraction idea -- the Mouse would now appear to be copying ride ideas from Universal, rather than the other way around.Never mind that Disney came up with the original idea for a dragon-based coaster. Never mind that Universal may have acquired the concept for their dragon coaster attraction under somewhat questionable circumstances. In the end, all that matters is: Who built the ride first? Since Universal was the first to build a dragon-based coaster, that ride concept now belongs to them.And -- since Eisner didn't want it to appear as if Disney was stealing ride ideas from Universal -- he asked the Imagineers to remove the "Dragon's Tower" ride from all future plans for "Beastly Kingdom." But -- without the tumble-down burned-out castle (that would have served as "Dragon's Tower"'s show building) to serve as the centerpiece for this proposed addition to WDW's fourth theme park -- "Beastly Kingdom" was left without a "weenie," a strong visual element that would lure people down into this side of the park. Without "Dragon's Tower," "Beastly Kingdom" now seemed kind of pointless.As painful as it might be, Joe Rohde and his Imagineering team now had to face facts. "Beastly Kingdom" -- as they had originally planned it -- was dead. WDI would now have to abandon all the witty plans they'd come up with for this part of the park and dream up some new attractions for DAK's east side.Mind you, there was no time to mourn "Beastly Kingdom"'s demise. Rohde and his team were too busy fighting with Disney management over their bargain basement expansion plans for DAK's Dinoland USA. Assuming that -- when Disney's "Dinosaur" movie opens in theaters later this month -- this side of the park will see a huge surge of new traffic, Eisner ordered that several lightly themed off-the-shelf carnival-style rides be added to Dinoland USA to increase capacity.Rohde was said to be furious when he learned of this plan, particularly since WDI had already put together an elegant expansion plan for DAK's dino area. He's reportedly particularly enraged that the name that his Imagineering team came up with for a runaway-mine-car-through-an-abandoned-dinosaur-dig ride -- the Excavator -- for Dinoland USA's "Phase II" will now be used for a smallish kiddie coaster Eisner is quickly tossing into the area.Adding to Rohde's aggravation: DAK's 'temporary' area -- Camp Minnie-Mickey -- was becoming all the more permanent as each day went by. Exit polls showed that this area's "Festival of the Lion King" show was the most popular attraction in all of Animal Kingdom. So popular that Disney had to add additional seats to DAK's "Lion King" theater to increase the show's capacity. And -- with "Lion King III," another direct-to-video sequel to the original 1994 film, currently in the works -- it could now be years before the "Lion King" phenomenon finally fades ... leaving all the land around that once-thought-to-be-temporary theater available again for development.As you can see, Rohde and his Imagineers didn't have time to moan over "Beastly Kingdom"'s loss. They're too busy fighting with Disney Company management, trying to keep Eisner and Co. from ruining the park with their bone-headed cost-cutting maneuvers.But is "Beastly Kingdom" really dead? At least for the immediate future, it would seem so. Any ambitious plans the Mouse may have had for expansion of Disney's Animal Kingdom are now completely on hold.Why for? Because there's so much other stuff at DAK that's currently in urgent need of repair. For example: Conservation Station is thought to be a complete disaster. Visitors repeatedly name that area as their least favorite part of Disney's Animal Kingdom. So the Imagineers are frantically searching for ways to fix up that facility.And then there's Kali River Rapids. Though only a year old, the centerpiece attraction for DAK's Asia area is already falling apart. There are currently so few of that attraction's original rafts in working condition that visitors often have to wait as much as an hour in line before there's a raft available for them to board.But all those Disney unicorn and dragon lovers out there shouldn't completely lose heart. Long-time Disney theme park observers know it's wise never to consider a really great concept for a theme park show or attraction completely dead. For the Imagineers have this awful tendency to recycle abandoned ideas.Consider Disneyland's long proposed Discovery Bay. Though Tony Baxter hatched the concept for this Jules Verne-meets-Gold Rush-era-San-Francisco Frontierland expansion back in 1977, it wasn't until 1992 that elements of this proposed Disneyland addition finally turned up in a Disney theme park. Unfortunately for all those US-based Discovery Bay fans, the park that got the land (DiscoveryLand, to be exact) that was inspired by Tony's concept art was Disneyland - Paris. But some of Discovery Bay did finally make it off the drawing board.So who knows? Maybe in ten years or so, some Imagineer may come with a clever way to rework the "Dragon's Tower" storyline. Perhaps that long rumored South American Disney theme park will have a Sleeping Beauty's castle with a thrill ride -- rather than a walking tour -- as its main attraction? Maybe this thrill ride will feature a huge AA version of the Maleficent dragon, snarling and breathing fire at riders as they whiz through the attraction's finale? Stranger things have happened, kids.Here's hoping that -- some day, in some way -- dragons and unicorns turn up in a Disney theme park.After all, there's always room for a little more magic in the Magic Kingdom. Basically, from all that...Eisner I know not all rides make it off the drawing board, but it sounds like such a sad story about the way in which an area which sounded like something that would frankly blow Expedition Everest away (which is also having massive trouble, so I can imagine similar things would happen with that dragon), might never see the light of day...Kinda shows how Disney and other companies work as well... Great article... Any others? It was OU yes, I was browsing through the old darker regions of said forum myself and found this a while back. I agree, it's such an incredible shame. Probably the greatest 'might have been' in theme park history. I'd have dearly loved to have seen it, I'm sure it would have been utterly stunning. It hurts even more given you can't get away from hints at it while you're in the park... And as we discussed in my TR last year Mikey, we're left looking at Dinoland USA instead It does truly break my heart that such stupid management ruined something that could have been stunning. Animal Kingdom had oodles of potential as an idea, but all we're left with is a ramshackle collection of attractions which all have horrid reliability, and still a lack of incentives for staying in the park more than a few hours.Who knows, perhaps there comes a glimmer of hope thanks to the WWoHP. Perhaps when time has passed, when average Joe the tourist has forgotten Dueling Dragons' humble beginnings, the mood may be right for a new dragon story...Thanks for posting it, good to read again. I've got a lot more interested in WDW now that I have visited.When I look back on it Camp Minnie-Mickey does seem really random. Just a few things cobbled together to fill space. Lion King was cool though.